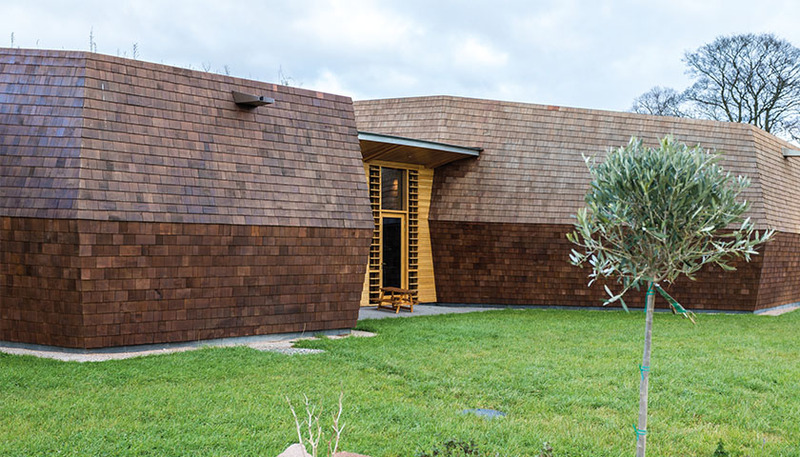 Cedar shingles help enhance the sound of music ..
Marley Eternit’s Western Red Cedar Shingles have been specified as both an internal and external building material for an award-winning music therapy centre that is helping to make a real difference to people of all ages. Created near Penrith in the Lake District, the Sunbeams Music Centre is a 600m sq. therapy centre which houses a number of meeting rooms, therapy rooms, a recording studio and a performance space, supporting over 1,500 people each month. Marley Eternit’s Western Red Shingles delivered a renewable and sustainable cladding solution for the centre, providing one of the lowest carbon footprints of any widely used building product. To find out more about Cedar shingles by Marley Eternit, please click here.